LONDON (Reuters) – World shares rose on Friday but were set to end a second week lower amid intensifying worries over the fallout of a trade dispute resulting from U.S. tariffs, while oil prices were higher ahead of an OPEC meeting later in the day. The MSCI All-Country World index (MIWD00000PUS), which tracks stocks in 47 countries, was up 0.2 percent in the European morning but down 1.3 percent on the week, its worst weekly showing since mid-March. German carmaker Daimler (DE:DAIGn) cut its earnings forecast earlier this week, saying tariffs on cars exported from the United States to China would hurt Mercedes-Benz sales. 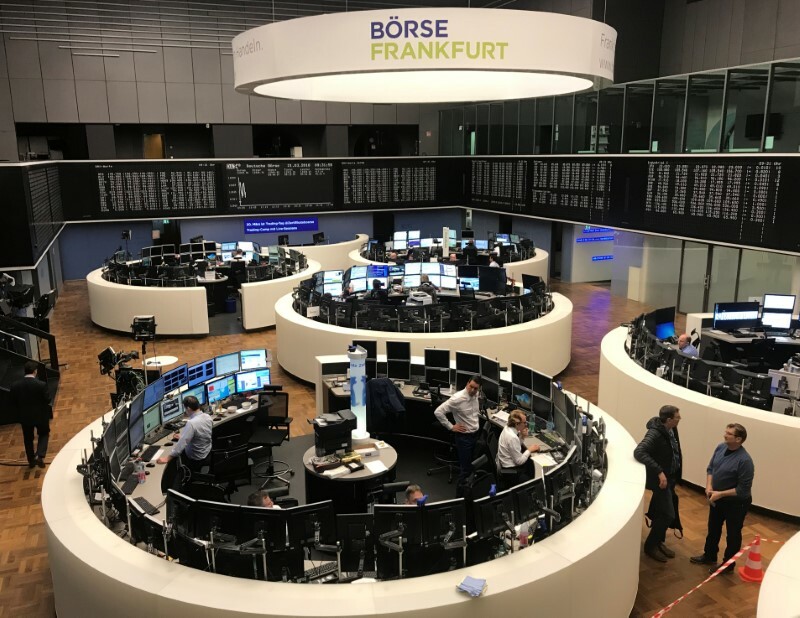 Strong financial stocks and better-than-expected euro zone purchasing managers index for services helped drive a timid relief bounce in European shares. The pan-European STOXX 600 (STOXX) and its euro zone counterpart (STOXXE) were set for their biggest weekly loss in three months as the consequences of rising protectionism sank in, notably for the autos sector. The strong PMIs also boosted the euro (EUR=D4). It was last up half a percent on the day and was set to end the week higher by half a percent. Against a basket of currencies, the dollar was 0.2 percent lower. Against the yen, the greenback was little changed. It was modestly higher at 110.14 yen , below a one-week high of 110.76 scaled the previous day amid lingering concerns over the U.S.-China trade dispute. Brent crude (LCOc1) traded at $74.00 a barrel, up 1.3 percent. U.S. West Texas Intermediate crude rose 1.1 percent to $66.27 per barrel. Earlier in Asia, MSCI’s broadest index of Asia-Pacific shares outside Japan (MIAPJ0000PUS) dropped as much as 0.35 percent at one point to touch its weakest since early December, before erasing losses to be up 0.15 percent. Still it was 2.3 percent off for the week. Hong Kong’s Hang Seng (HSI) plumbed six-month lows, having lost 3.9 percent so far this week. South Korea’s KOSPI (KS11) hit nine-month lows and in mainland China, the CSI300 index (CSI300) lost almost 5 percent this week to one-year lows. Japan’s Nikkei (N225) gave up 0.8 percent for a weekly loss of 1.7 percent.